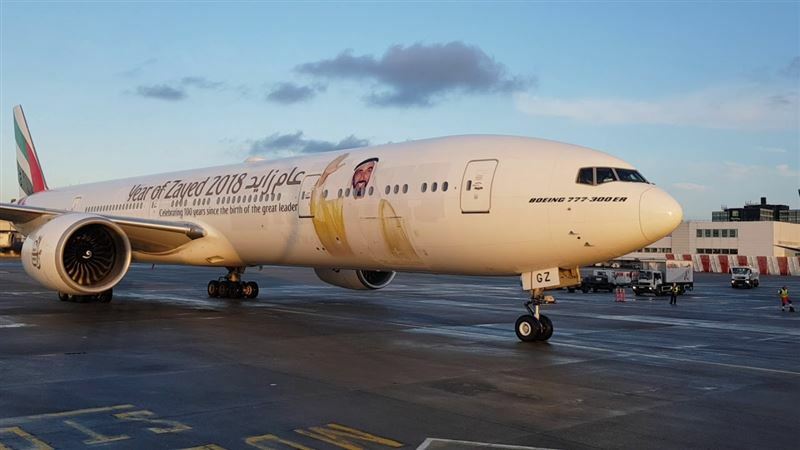 Under the directive of His Highness Sheikh Mohammed bin Rashid Al Maktoum, Vice President and Prime Minister of the UAE and Ruler of Dubai, Emirates has exclusively chartered an aircraft for UAE government employees to travel to Jeddah, to perform Umrah in the holy city of Mecca. Emirates flight EK 2819, a Boeing 777-300ER adorned with the special “Year of Zayed” livery, carried a full flight of 428 passengers to King Abdulaziz International Airport earlier today. Emirates flight EK2822 is scheduled to return to Dubai on Saturday 29th December 2018. Emirates currently serves the Kingdom of Saudi Arabia with 91 weekly flights to 4 gateways including 4 daily flights to Riyadh, Jeddah and Dammam as well as a daily flight to Medina.